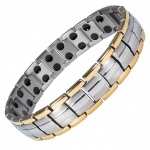 Our titanium magnetic bracelets are made of surgically grade Titanium, which ensures its hyper allergenic qualities. 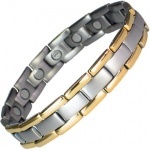 As Titanium is waterproof and you can keep the bracelets on while in the shower & pool.The bracelets have the stamp 'TITANIUM', and a fold-over clasp. 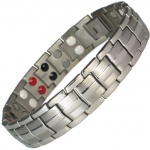 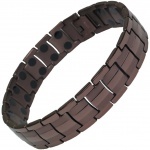 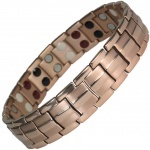 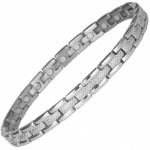 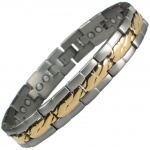 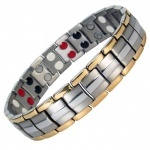 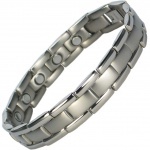 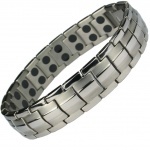 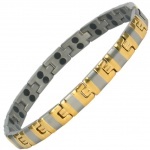 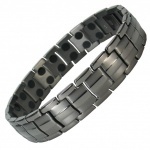 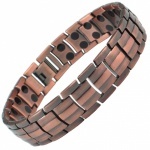 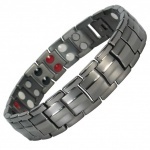 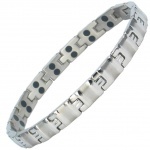 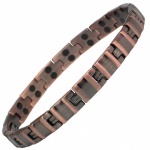 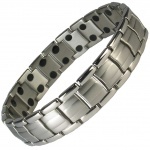 With over 100 designs, we have by far the largest range of Titanium Magnetic Bracelets in Europe. 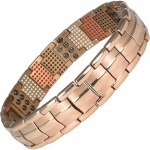 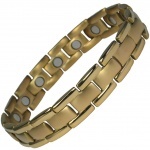 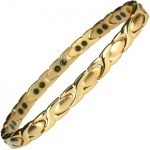 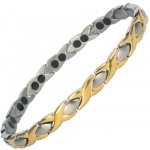 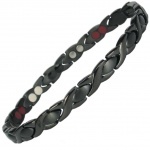 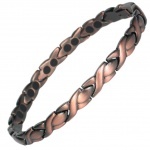 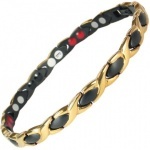 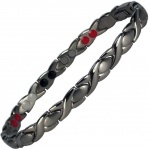 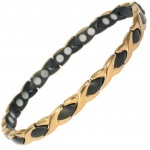 Magnets therapy and the compatibility of the Titanium with the human body can make titanium bio magnetic bracelets the best choice for those people who have very sensitive skin and may develop allergic reactions to other metals in jewellery. 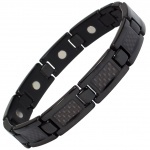 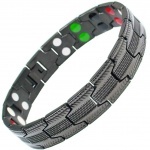 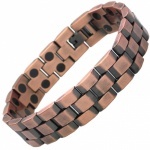 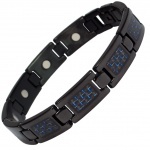 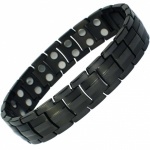 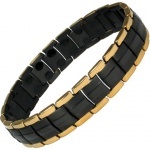 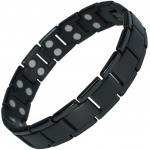 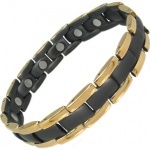 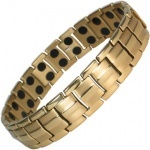 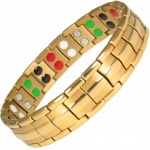 The effectiveness of magnetic bracelets was reported to help in some studies recently, as reported in the Daily Mail.